In Smart Systems Innovations, LLC v. Chicago Transit Authority, [2016-1233] (October 18, 2017), the Federal Circuit affirmed the district court’s judgment on the pleadings that the asserted claims of U.S. Patent Nos. 7,566,003, 7,568,617, 8,505,816, and 8,662,390, relating to regulating entry in a transit system using information from a bankcard, were patent ineligible. related to such transactions. The Asserted Claims were not directed to a new type of bankcard, turnstile, or database, nor do the claims provide a method for processing data that improves existing technological processes. render the claims any less abstract. In dissent Judge Linn, arguing that the majority engaged a reductionist exercise of ignoring the limitations of the claims in question, would have found the claims in two of the patents patent-eligible, but finding that the analysis with respect to the remaining two patents “consistent with past decisions finding ineligibility” reluctantly concurred because he was bound by precedent to reach that conclusion. The problem with this test, however, is that it is indeterminate and often leads to arbitrary results. Moreover, if applied in a legal vacuum divorced from its genesis and treated differently from the other two exceptions, it can strike down claims covering meritorious inventions not because they attempt to appropriate a basic building block of scientific or technological work, but simply because they seemingly fail the Supreme Court’s test. Step one cannot be a hunt for the abstract idea underlying the claim, because underlying virtually every claim is an abstract idea. And if the task under step one is to assess whether the claim is directed to no more than an abstract idea, what is left for determination under step two? Where do you draw the line between properly determining what the claim is directed to and improperly engaging in an overly reductionist exercise to find the abstract idea that underlies virtually every claim? building block of scientific or technological activity as to foreclose or inhibit future innovation or whether the claim instead is directed to a tangible application that serves a new and useful end. Judge Linn concluded that claims directed not merely to basic building blocks of scientific or technological activity but instead to innovative solutions to real problems that result from human activity and are not capable of performance solely in the human mind should be fully eligible for patent protection and not lightly discarded. Judge Linn is not the first to make these points, but his articulate and well reasoned dissent is like a shout — Alice isn’t wearing any clothes. The question remains: will the rest of us stand around and gasp, or actually do something about it? In Secured Mail Solutions LLC v. Universal Wilde, Inc., [2016-1728](October 16, 2017), the Federal Circuit affirmed the grant of a motion to dismiss on the grounds that U.S. Patent Nos. 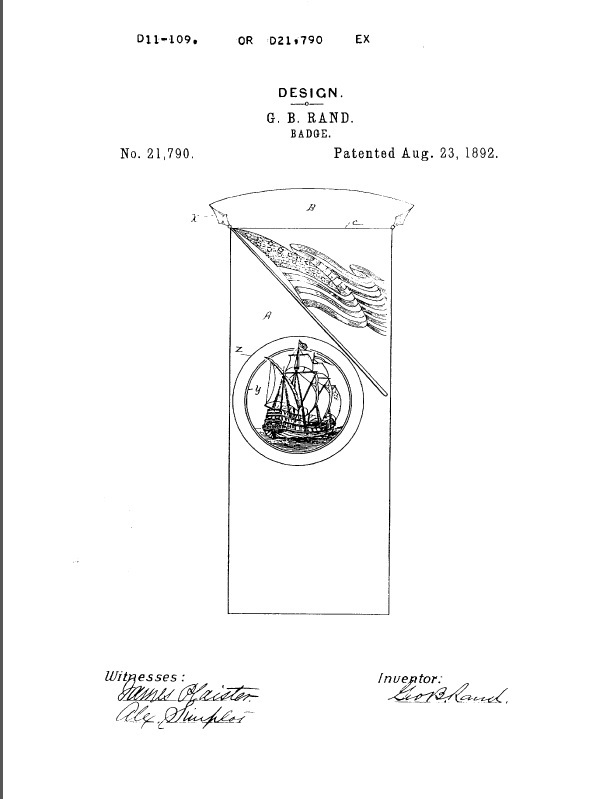 7,814,032, 7,818,268, and 8,073,787 (the “Intelligent Mail Barcode” patents), U.S. Patent Nos. 8,260,629 and 8,429,093 (the “QR Code” patents), and U.S. Patent Nos. 8,910,860 and 9,105,002 (the “Personalized URL” patents) are directed to subject matter ineligible for patenting under 35 U.S.C. § 101.
recipient of the mail object can access the database and use that authenticating portion to verify that a mail object is authentic. directly from the sender and allows the sender to provide personalized data directly to the recipient, without the involvement of the mail carrier. user can type the URL into her web browser and be directed straight to a specific account, or to other personalized information. The Federal Circuit rejected Secured Mail’s argument that the district court described the invents at too high a level of abstraction at Step 1 of the Alice inquiry. The Federal Circuit noted that despite the district court’s statement that “a reasonably high level of generality” should be used, the district court’s analysis correctly found that Secured Mail’s claims are directed to an abstract idea. The Federal Circuit rejected Secured Mail’s argument that S the claims are specifically directed to a sender-generated unique identifier, which improved on the existing process both by reliably identifying the sender of the mail object and by permitting the sender to create a bi-directional communication channel between the sender and recipient of the mail object. The Federal Circuit found that the fact that an identifier can be used to make a process more efficient, however, does not necessarily render an abstract idea less abstract. The Federal Circuit noted that the claims of the Intelligent Mail Barcode patents are not directed to specific details of the barcode or the equipment for generating and processing it. The claims generically provide for the encoding of various data onto a mail object but do not set out how this is to be performed. The Federal Circuit noted that in contrast to McRO and Thales, no special rules or details of the computers, databases, printers, or scanners are recited. The Federal Circuit noted that there is no description of how the unique identifier is generated or how a unique identifier is different from a personal name, or return address. Rather, the claim language cited by Secured Mail merely recites that the unique identifier is generated by the sender. Lastly, the Federal Circuit found that the Personalized URL patents are directed to the same abstract idea as the QR Code patents. The claims of the three sets of patents are not limited by rules or steps that establish how the focus of the methods is achieved. Instead, the claims embrace the abstract idea of using a marking affixed to the outside of a mail object to communicate information about the mail object, i.e., the sender, recipient, and contents of the mail object. Because the claims are directed to an abstract idea, we turn to the second step of the Alice inquiry. The Federal Circuit affirmed the district court’s invalidation of all seven patents. 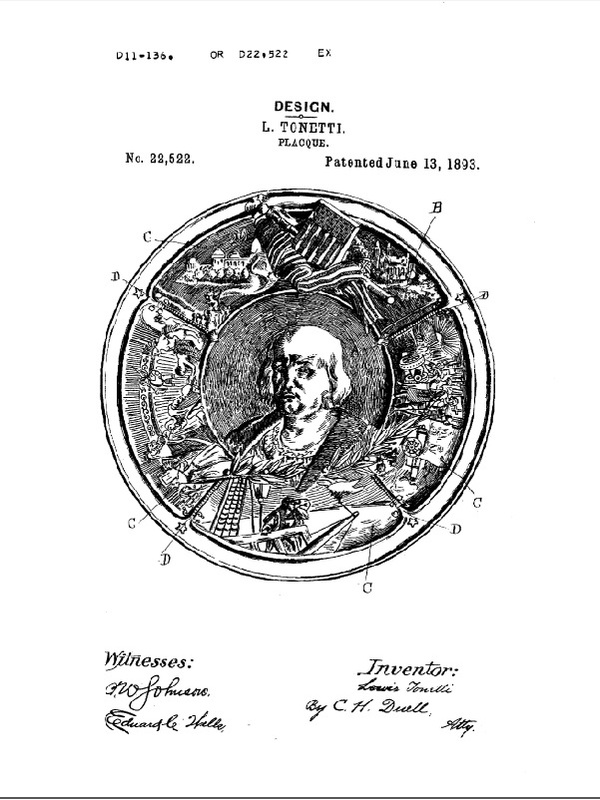 Back when crossing an ocean to an unknown destination in a 62 foot boat was something worthy of praise, the life and travels of Christopher Columbus were celebrated, including in this patented badge and plaque.